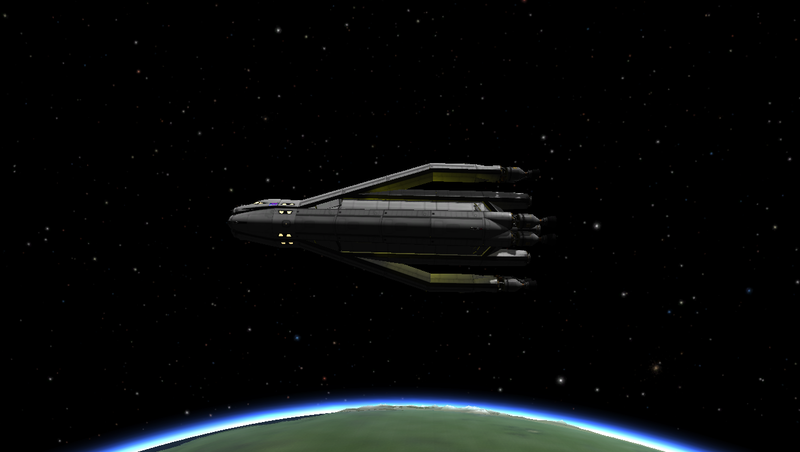 4 parachutes in the nose (mostly for comforting the passengers because you’re frakked anyway if you de-orbit in this). A stock rocket called 77 Industries - 74-21. Built with 348 of the finest parts.